I was very fortunate to grow up in a household with parents who believed in using nature’s gifts as home remedies. Even though my father was a practicing physician, he believed vitamins, minerals, and healthy foods should be used before antibiotics or medications. Although I didn’t appreciate it at the time, it became very apparent to me just how important this information was when I went out on my own. One of the foods that we incorporated into home remedies was honey. If you had a sore throat, you were given hot tea with lemon and honey. If you were feeling under the weather, you got a spoonful of honey. And if you accidentally burnt your hand, honey was there to soothe the discomfort. It’s now over 30 years later and I’m still using honey to sweeten my tea, soothe my sore throat, and ease my burns. The honey that I used as a child always contained the honeycomb in the jar. 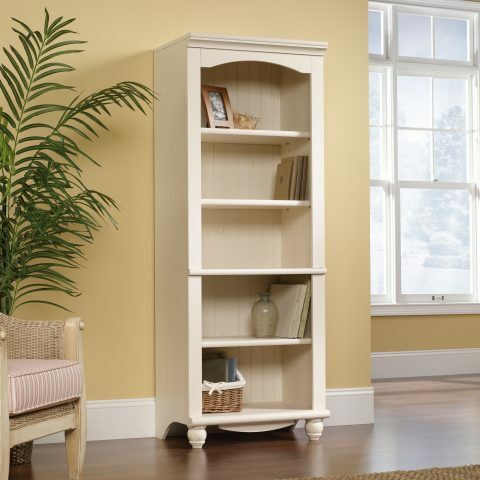 It’s what my parents used and it’s what I became accustomed to. The first time I tried honey that didn’t include the honeycomb, I could tell the difference. I didn’t like the “watered down” flavor and I could hear my dad’s voice in my head, “it doesn’t have the same health benefits.” It seems my dad has turned me into a honey connoisseur. Since moving to Virginia 5 years ago, I’ve had difficulty finding honeycomb honey—until recently. 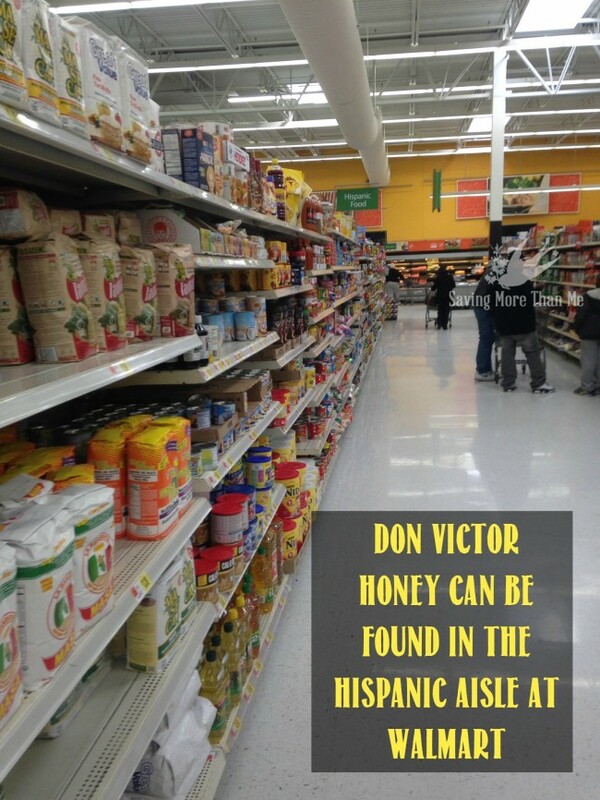 On a recent trip to Walmart, I spotted a brand of honey named Don Victor— in the Hispanic aisle. It was the honeycomb that caught my eye. 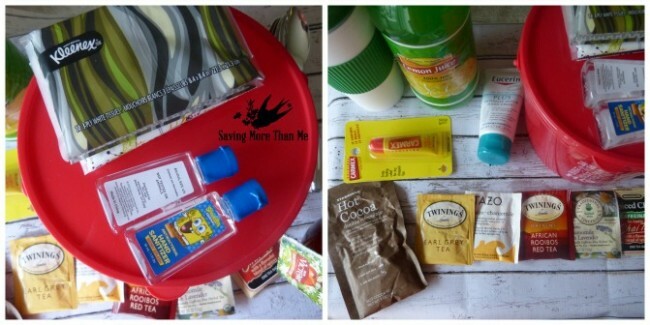 Next, I purchased items to match my survival tips: hand lotion, lip ointment, hand sanitizer, tissues, a hot drink mug, various tea bags, disposable silver spoons, lemon, and Don Victor honey of course. 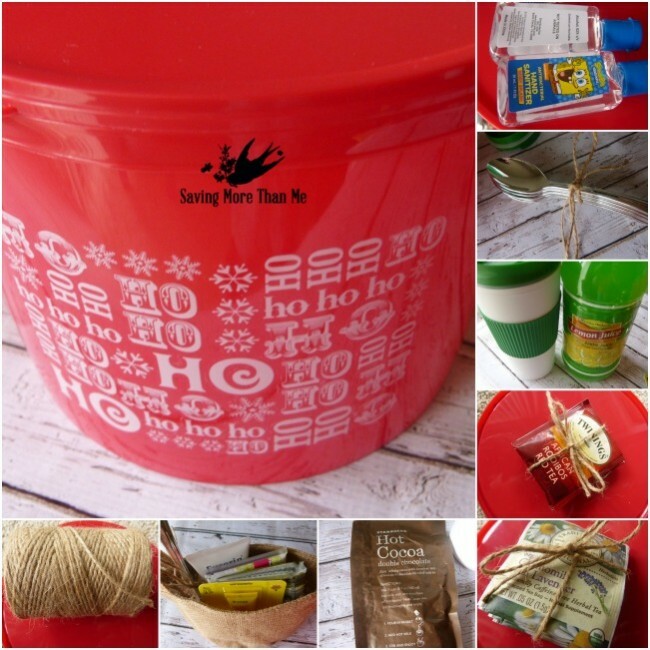 I also bought a holiday themed bucket that would serve as the gift basket. 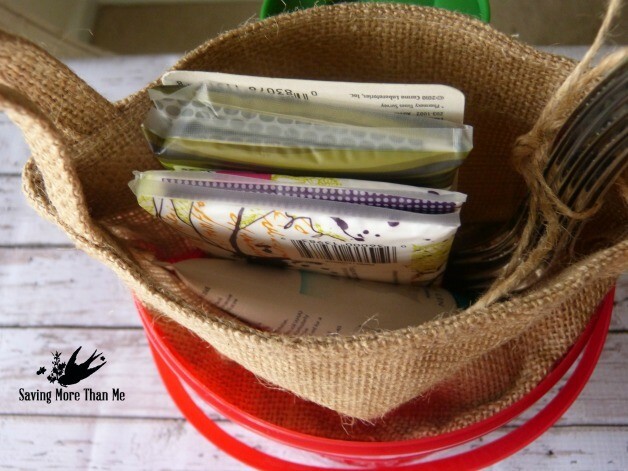 I used twine to tie up the tea bags and spoons and I put the spoons plus the lip ointment, hand lotion, hand sanitizer, and tissues in a cute little burlap bag. The hot cocoa packet went inside the travel mug. 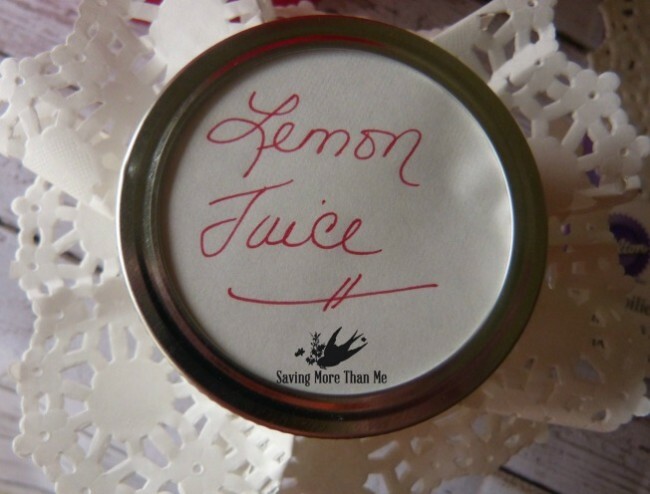 Since the lemon container was large and bulky, I decided to transfer it to a canning jar. 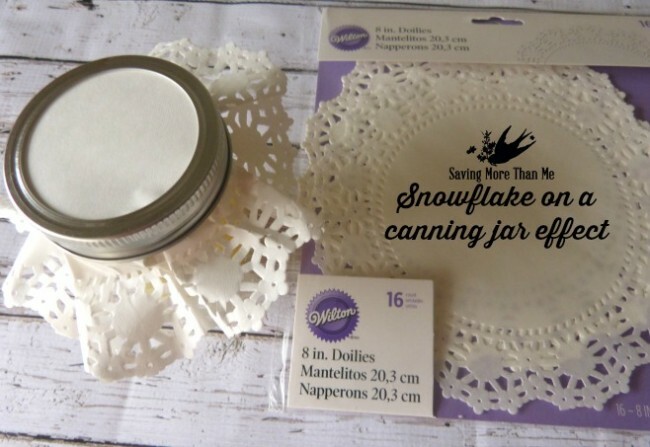 I used a cute paper doily to give it a snowflake effect. All I did was place the doily over the seal and then I sealed it with the lid. A red sharpie lets the gift recipient know what’s in there. 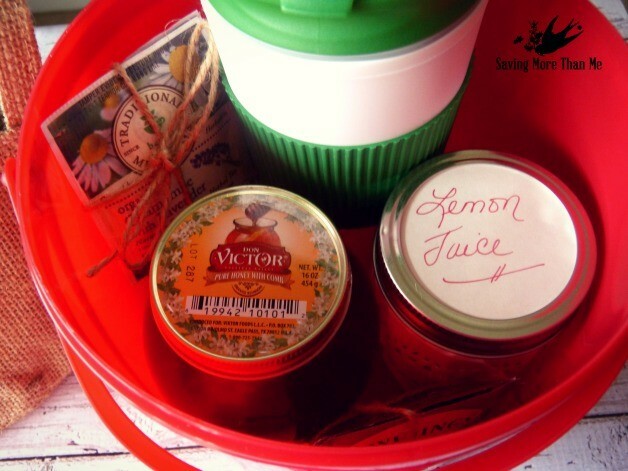 Remember: one cup of hot tea plus 2 tablespoons of honey and 1 tablespoon of lemon. Now the gift basket is starting to come together. 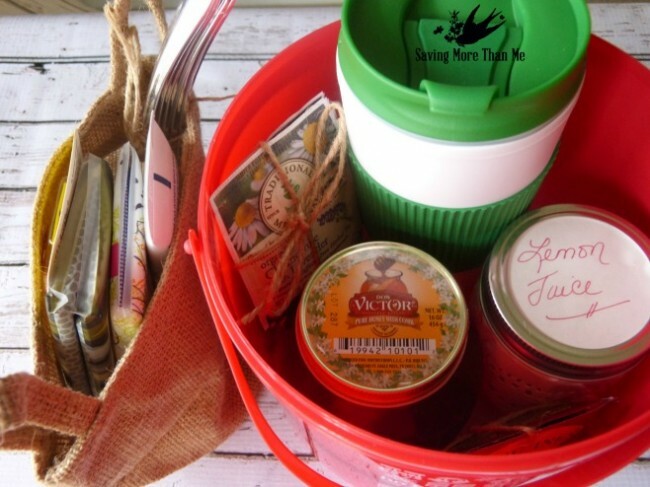 We put the Don Victor honey in the there, the lemon juice, travel mug, and the assortment of tea bags. We already put the health care items in the burlap bag earlier so we’re all set there. 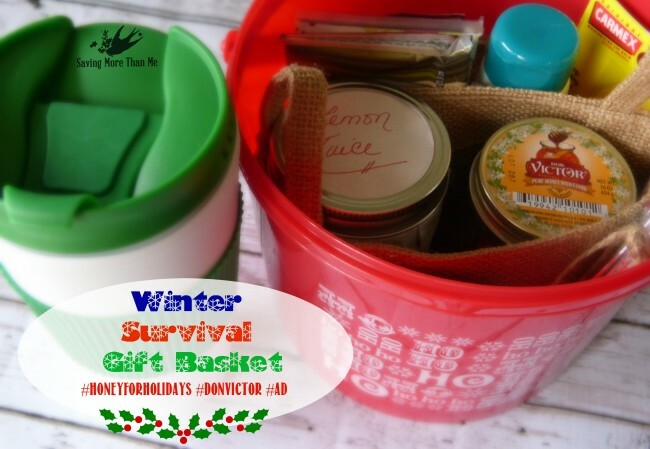 After printing out my Winter Survival tip list on cardstock, I rolled it scroll style and used the tag from the Don Victor honey jar to secure it. For convenience purposes, the gift basket/bucket and the burlap bag all got tucked away nice and snug in a Santa-themed gift bag. 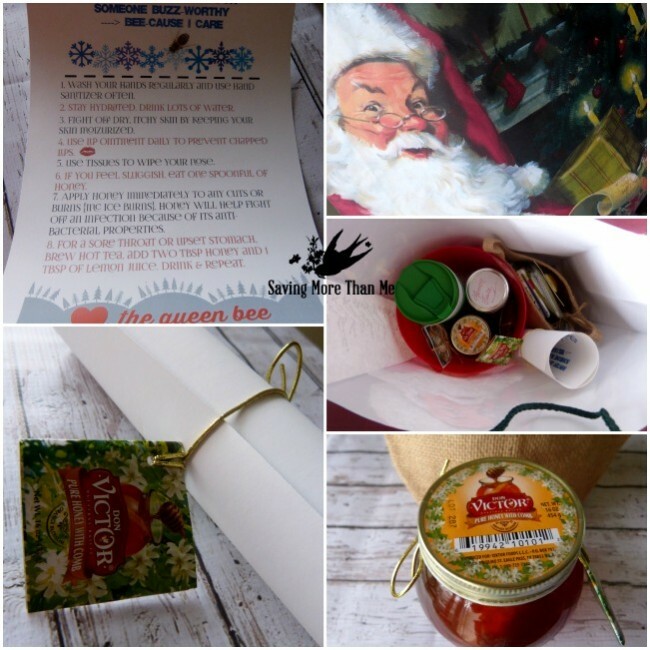 It’s now ready to be gifted to my postal carrier but this Winter Survival gift basket would also make a great gift for a neighbor, teacher, newspaper carrier, or anyone you appreciate this holiday season. 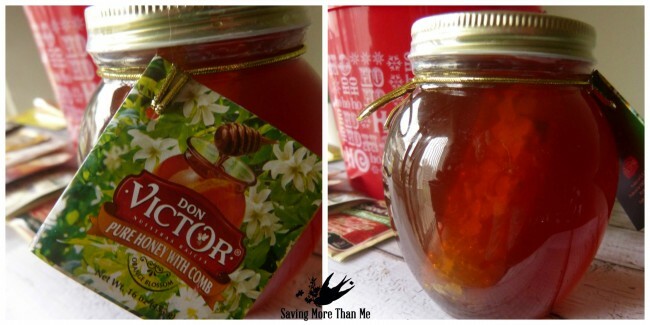 Before I leave you to make myself some hot tea with lemon and honey, I want to share another Don Victor product with you. I am in love with the bottle and I think it’d make a great foodie gift. I present you with the Don Victor Olive Oil Cruet! Now tell me, have you ever tried honey that includes the honeycomb? Why or why not? What a beautiful gift basket! 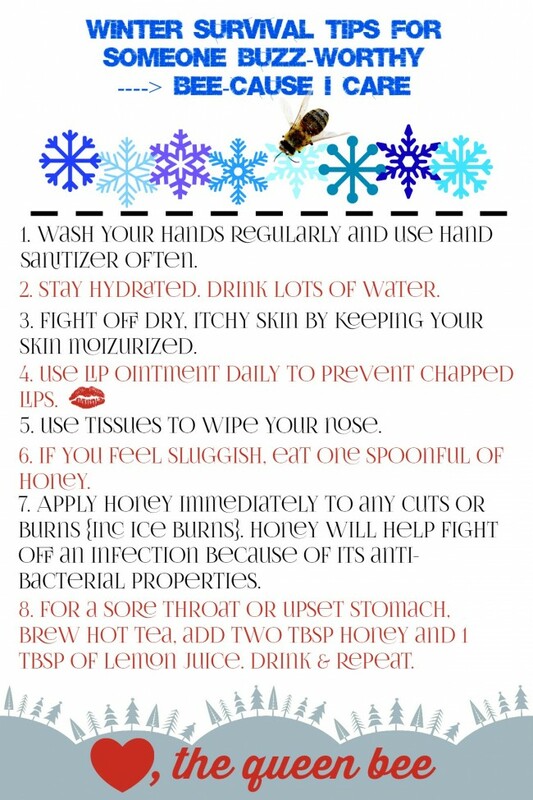 Next time my bff is sick i’m totally making one of these for her! So thoughtful! This is a wonderful idea, I sure could use that myself. I need to have all these things on hand, all the time! I was worried at first because I didn’t see any chocolate in there, but then spied the cocoa. I guess that’ll pass, but real chocolate is should be the center of any survival kit! What a great gift idea! I always get sick in the winter, I will have to give some hints for someone to get this for me! I love hot tea and honey when I’m under the weather.